The other day I was perusing the top 25 paid apps on the App Store and was suprised to see that Angry Birds was knocked off its perch and there was a new app in first place. My first thought was: I need to come up with a bird based game and get rich – then I saw a shiny object and got distracted. 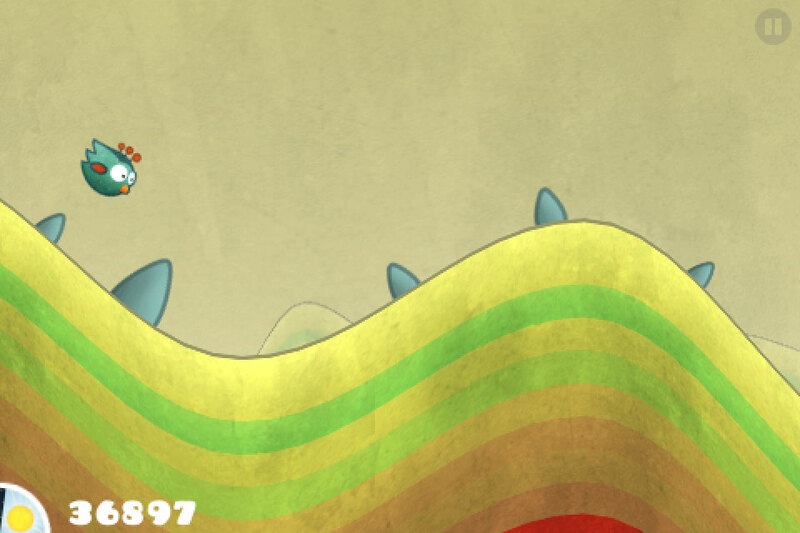 Once I came out of my bauble induced trance, I downloaded Tiny Wings and have not been disappointed. In Tiny Wings you are a bird that has always dreamed of flying but unfortunately you are a plump bird with very small wings. You are in luck though and the world is filled with hills that you can slide down and jump off of. 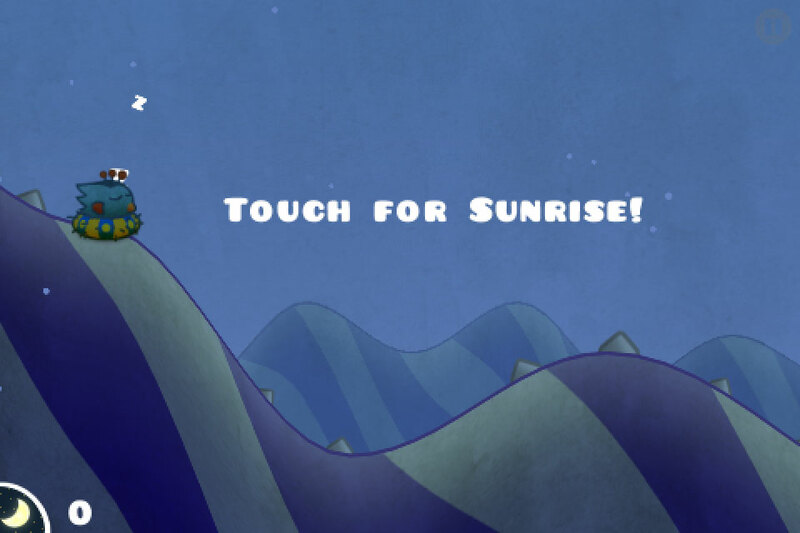 Try to go from island to island as fast as you can before the sun goes down and it is lights out. The game play sounds simple, because it is. This is the perfect game for me. 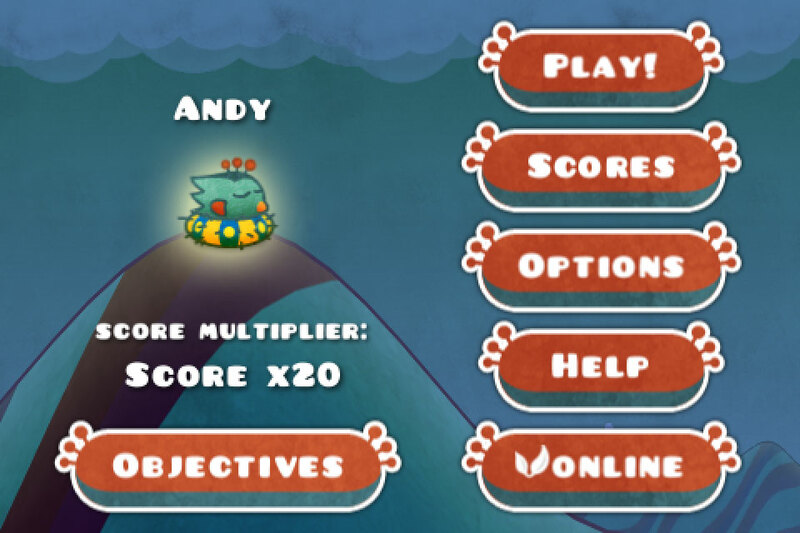 It is one that has easy controls with a difficulty that increases as you jump from island to island. It is also great because you can either play a quick game when you have a couple of minutes or be entertained by it for as long as you like. The developer keeps things interesting and somewhat challenging with different objectives like perfect slides and playing upside down. The graphics fit the feel of the game perfectly. Tiny Wing’s has what is called ‘procedural generated graphics’ which makes the game look different each day you play. Speaking of the look of the game, the graphics are absolutely gorgeous. 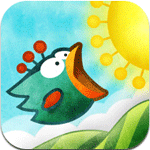 If you are looking for a fun, simple, great looking game then look no further than Tiny Wings.